The Scripture article, located in the Front Matter on pages T35 – T42, is written by Rev. Robert Hater to better reflect the Church’s current understanding of biblical theology and teaching. The use of digital resources is clearly incorporated into the Front Matter, including an entire page on digital resources (T34). • The Teacher’s Prayer is now the beginning point of the first page. • Faith Focus is moved to the top of the At-a-Glance Planner page. • Family Life Connection is highlighted in this section. Each chapter’s lesson planner pages include a correlation to one of the lessons found in RCL Benziger’s Family Life program. • Prayer Center, Faith in Action, Special Needs, and Assessments information is prominently highlighted. • Each chapter’s lesson planner pages include a new, practical Special Needs teaching tip specific to each chapter’s content or activities. 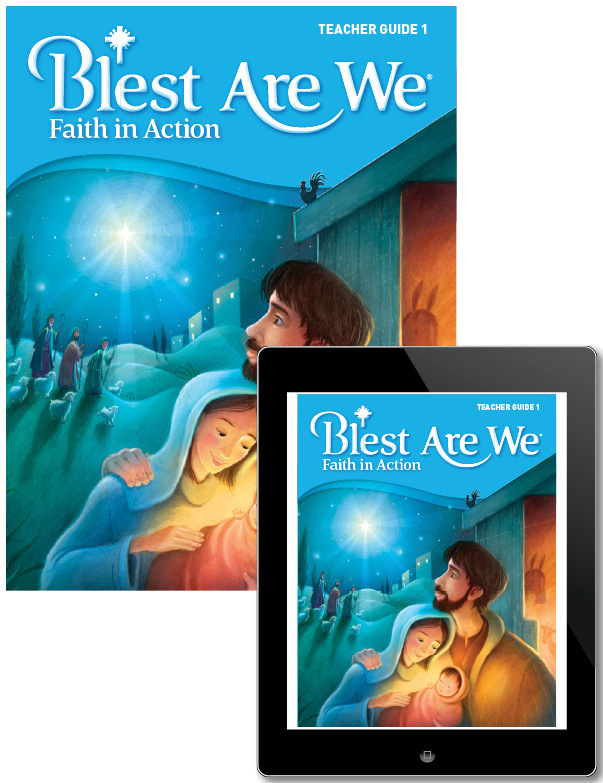 • Faith in Action lesson plans more clearly connect with the seven principles of Catholic Social Teaching. • Alternate, more user-friendly wording of the seven principles are provided for Grades 1-3. • Point-of-use bottom boxes are simplified in design. Scripture Background box heads will have the oil lamp symbol and will be in the Scripture blue. Catholic Social Teaching or Faith in Action boxes will be in orange. • Sidebar boxes are simplified in design. They will be in the color of the heading of the given section (green if on Hear and Believe pages, light purple if on Respond pages).